This is a compensated campaign in collaboration with ANDREA and Latina Bloggers Connect. Are you a shoe lover? Since I was a little girl, shoe shopping was my favorite. It didn't matter what kinda of shoes my mom bought me, just having a new pair of shoes made me happy. This still holds true today, a new pair of shoes can transform your outfit and attitude! I think my love of shoes stems from being able to wear any style or trend and not have to worry if they would fit me, unlike with clothing. 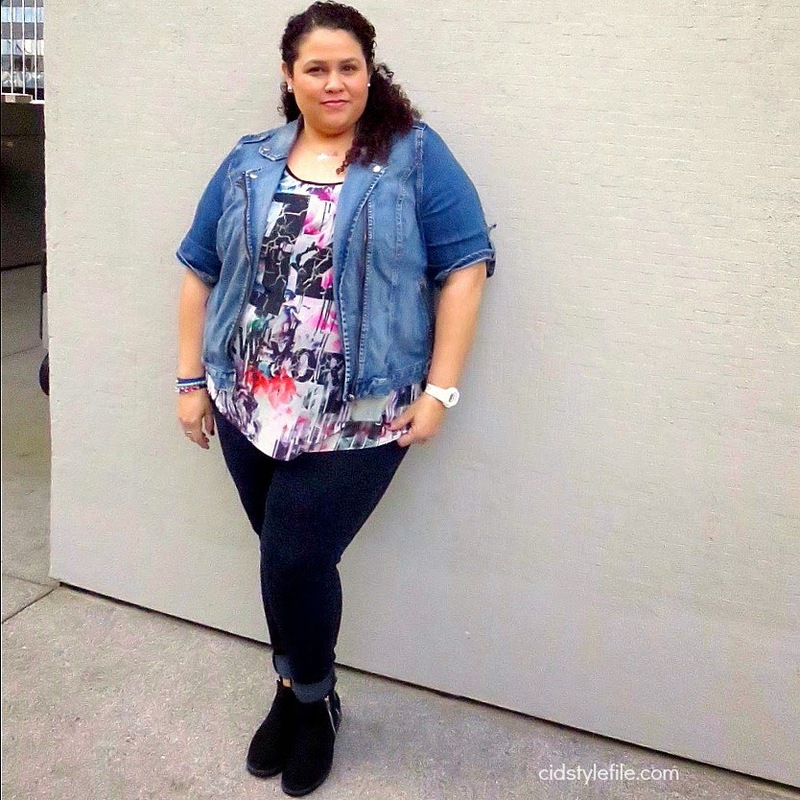 Being a plus size girl growing up, it wasn't easy finding cute stylish clothes. Shoes on the other hand, were everywhere and they all fit me just fine! When I was introduced to ANDREA Shoes, a Mexican company it was like a light went off in my head. Being a Latina many of my shoes growing up were from Mexico. Every year my family took a trip to visit our relatives in Mexico. Each trip meant a new pair of shoes for me as well. I liked shopping for shoes in Mexico, because they were different than what my friends would be wearing here in LA. My mom loved them because they were cheaper and better quality than what she could afford to buy me in the US. My ANDREA boots, love the zipper details, both zippers work making it easy to put on and take off. ANDREA Shoes has been in business for 40 years, selling shoes for the entire family. Along with shoes, Andrea has other several brands of clothing and intimates as well. They are based in Mexico and now in the USA, with 130 branches in both countries. Through catalog sales, Andrea gives woman the opportunity to buy and sell shoes, to have your own home based business. Become an affiliate or as Andrea calls them "Estrellas" to buy shoes at wholesale prices. You then can turn around and sell them for a profit. Who wouldn't want to be there own boss and have a home based business selling something they love. These ANDREA booties are so comfy and go great with any outfit. I'm already an Estrella ANDREA and excited about the possibilities of having my own business selling shoes. ANDREA shoes are stylish and great quality and I can't wait to buy more for my self at wholesales prices. But it would also be great to make some extra cash for selling something I love, cute and stylish shoes! Are you ready to be an Estrella ANDREA and be your own boss? Find out more about ANDREA Shoes go to the website here. Follow them on Facebook and Twitter too. Make sure to follow me on Instagram @CidStyleFile to see more ANDREA shoes and more from the blog. You look awesome...as always!! Those are super cute! Yeah, I have this ANDREA boots. So cute! Have you ever looked for best custom essay writing services?